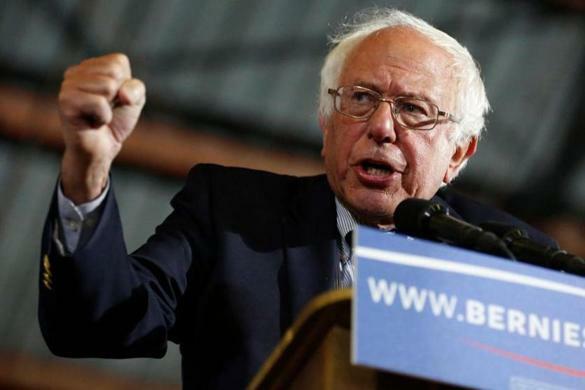 Bernie Sanders, 77; Joe Biden, 76; Elizabeth Warren, 69; Donald Trump, 72. HERE ARE SOME non-partisan facts: When Bernie Sanders was born, America was on the cusp of entering World War II. Sanders was 17 when Alaska and Hawaii became states and 27 when we put a man on the moon. Joe Biden was 31 when Nixon resigned and 42 when Apple released its first commercially viable home computer. In the year the World Wide Web was invented, 1990, 43-year-old Donald Trump was still married to his first wife, Ivana, and Elizabeth Warren, then 41, was still a Republican. 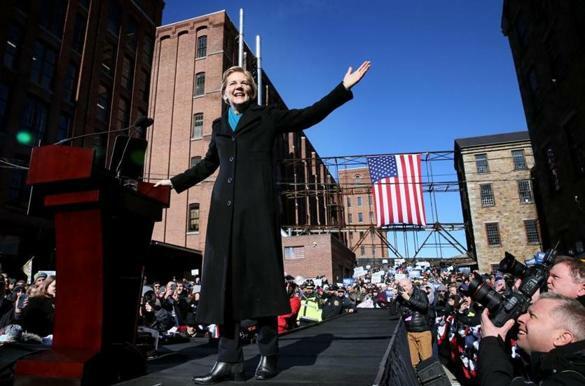 Two weeks ago, at the age of 77, Sanders announced his candidacy for president in 2020; Warren, 69, announced a week earlier. 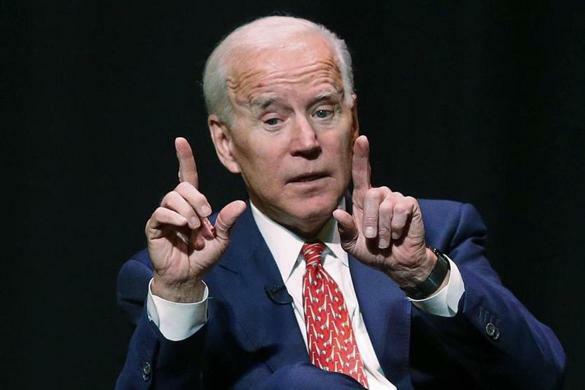 Biden, 76, has yet to officially declare his intentions, but he seems to be leaning in that direction. Bill Weld, the 73-year-old former Massachusetts governor, is considering a run for the Republican nomination. Sure, these elder statesmen have a wealth of experience behind them; they’ve also witnessed a literal and figurative transformation of our country. And certainly their age is a gift in the political realm. As younger folks inevitably try to shake things up, these older folks can temper ambitions, offer perspective, remind us that time is often on our side. But these candidates are also indisputably old. For all their vim and vigor, their Snapchatting and tweeting, their political power and hard-earned wisdom, they are asking Americans to consider them for a new job at an age when most people are packing up and heading home to spend more time with their grandkids. Elderly candidates’ supporters scoff at age concerns, denouncing anyone who brings it up as ageist, or by touting their particular candidates’ youthfulness, their outlier-ness. There are old people and then there are old people, they say, and our candidates are clearly not those. So let me be clear: That’s not what we’re talking about here. Older people are valuable. They can be wise, they can be vivacious, they can be sensible, they can be creative, they have experience, something that’s chronically undervalued in the American job market. But they shouldn’t be president. The job of the American president is one of the most difficult, mentally and physically, in the world — even more so now that the planet is in peril. Age-related decline is also real, backed not only by data and scientific evidence, but by experience. Aging comes with physical and cognitive changes that affect everything we do. Based on available science on aging, Sanders, Biden, Weld, Trump, even Warren are too old to lead this country. And with all the wisdom they’ve ostensibly accrued over their years, they should probably know that. ‘WHAT GETS WORSE is that you get slower,” says Dr. Daniel Schacter, a psychologist and researcher at Harvard who specializes in memory and aging. Schacter’s research shows that this slowdown starts in our 30s, but the effects become much more pronounced in our 70s and 80s. In particular, the slowdown affects our ability to process new information. Areas of the brain implicated in memory-making, such as the hippocampus, shrink with age; the myelin sheath — the white, fatty substance that coats and protects nerve fibers — also thins, slowing the speed of communication between neurons. This slowdown affects every aspect of our cognitive functioning, but its effects on memory are particularly profound. Encoding each new piece of information becomes more difficult with age, while retrieving information becomes more labored. “Memory tasks that require a lot of effort . . . for example trying to recall information on your own without cues or hints, that tends to be hit hard by aging,” Schacter explained. We’ve witnessed plenty of high-profile memory slips among older politicians recently. Just this week, Donald Trump introduced Tim Cook, the CEO of Apple, as “Tim Apple.” In 2017, on a visit to Fort Myers, Florida, following Hurricane Irma, Trump announced that his wife wished she could have been there to pay respects while she was standing right next to him. And when speaker Nancy Pelosi, 78, couldn’t recall the name of the Senate Majority Leader Mitch McConnell during an interview with Rolling Stone last July, it could have been a savage burn — or it could have been an example of what Schacter is talking about. But memory affects much more than our ability to recall basic facts. Memory also undergirds a whole host of cognitive processes as well. We rely on our memories to make decisions about our future: How do we imagine it? How can we shape it? What new mechanisms can we employ to affect change? In the political realm, the effects of memory impairment can’t be ignored. Major shifts in policy priorities (gun control, climate change, student debt, legalizing marijuana, gender equity) and calls for operational changes (finance reform, for one) certainly disorient older, established politicians. This is where a lifetime of experience can get in the way of processing new information and coming up with fresh ideas. Consider Senator Dianne Feinstein’s recent meeting with a group of young people who came to her office asking her to support the Green New Deal. Feinstein, 85, told the group that she wouldn’t sign the legislation, and has instead drafted a more moderate version. “I’ve been doing this for 30 years. I know what I’m doing,” she told them dismissively. As Bill McKibben pointed out in a New Yorker article, there is a disturbing irony in Feinstein’s declaration: 30 years is precisely the time period in which we could have acted to avoid some of the worst effects of climate change. Feinstein was in a position to push for those changes, but she didn’t. So doing more of “this” in the face of what science has explained to us, over and over again, reveals her inability to shift her thinking in the face of new information. One cognitive area that does seem to improve with age is the ability to see the whole picture. This is in part because neurologically, our dendrites — the receiving end of a neuron — are branching out more, reaching, in a sense, for more disparate connections between established memories and thoughts. But this comes with a decline in processing critical details. Seeing the big picture may be one way that we adapt to our inability to quickly take in and synthesize new material. That’s why older politicians, including Pelosi and “whatshisname” McConnell, tend to excel in getting the gist of situations, seeing the forest rather than the trees. They are drawing from their vast cache of experiences, which helps them understand what’s happening now by relating it to something that happened in the past. But relying on the past to understand the present can be problematic because aging impairs our very perception of that past. Consider how age-induced “false memories” were used to manipulate older Americans during the last election. Dr. Julia Shaw, a memory scientist at University College London, noted in 2016 that politicians like Donald Trump ran on the idea of making America great again, without offering a clear definition of what specifically was once great. Instead, the campaign relied on the “good old days” trope, referring to a hazy, undefined past when everything was so much better. In what year, exactly, were these good old days? No one can exactly say. The MAGA messaging strongly resonated with older Americans thanks to what Shaw and other memory scientists call “rosy retrospection,” a cognitive bias that causes people to falsely remember events from their past as more positive than they really were. (And sometimes, to justify making the same mistakes over and over again because they forget or downplay how bad it really was.) All people do this, but older people do it more. Rosy retrospection is often married to declinism, another cognitive bias that compels older people to see the future as alien and frightening. Voting to make America great again, then, is trying to ward off this imagined dismal future by returning it to a past that never was. And confirming what everyone thinks after having a political conversation with their grandparents or parents is a string of studies from the 1970s through the 2000s that found that the older you get, the more conservative you get (though some studies refute this). Combined with rosy retrospection, this tendency could compel politicians to maintain status quo rather than heed environmental warnings by implementing major policy shifts. A 2008 study tried to ferret out what personality changes might lead to older folks’ conservative leanings. This shift, they found, was correlated with a decline in willingness to try new things or entertain new ideas, being intellectually curious; at the same time, older people demonstrated an increased need for closure. Both are troubling shifts when considering older Americans’ fitness for office, but a need for closure, according to a 2003 study, underpins the cognitive motivations for conservative values; you can take issue with that and other psychologists have, but they do agree that at the least, “need for closure” signals an intolerance for ambiguity, for situations that lack clear readings, and a preference for firm, “black or white” beliefs. That may explain why the conservative agenda has so much appeal among older Americans. It’s straightforward: lower taxes, close borders, cut all forms of regulation. Older people might argue that the conservative agenda offers security or economic stability, but the blinkered thinking comes from a belief in the past as a blueprint for the future which makes it very difficult to even conceive of the future in a constructive way. We’ve see this conservative lean play out in politics all the time. Remember both times Trump was a Democrat? Or the fact that Britons over the age of 65 were twice as likely to vote to leave the EU than under-25s? That isn’t to say that a younger person couldn’t or wouldn’t also adhere to the same beliefs (consider the Young Republican). Rather, what this demonstrates is a cognitive process that is inclining towards closed, rigid thinking. IF THIS ALL sounds worrying, it should. Taking on new information and making meaningful decisions based on that information is pretty much the job description of a president of the United States. Likewise getting the details and the gist. Being able to smoothly shift between different cognitive modes, to go from a sit-down with the recalcitrant head of a nuclearized state to immediately managing Congressional revolt, also useful. Being open to new ideas, from new quarters, very important; coming up with new ideas, given how much we need them right now, is also crucial. (Note that Franklin D. Roosevelt was in his early fifties when he pushed through the New Deal.) And being able to do all of this gracefully, under the relentless gaze of the digital eye, the one that demands that the president always be accessible, visible, ready to hand out blankets at the next natural disaster or condolences at the next man-made one, perhaps the most important of all. Yes, experience matters. Evan Thomas made that case in a book he wrote in 1986, with Walter Isaacson, The Wise Men, detailing how much presidents during the 1960s and ‘70s relied on the wisdom and experience of older statesmen. Likewise, we’ve seen how difficult it is for older politicians to keep apace — from Biden’s tone-deaf praise of Vice President Mike Pence as a “decent guy” in the face of Pence’s demonstrable disrespect for the LGBTQ community, to Elizabeth Warren’s fumble of the non-question of her “Native American heritage.” Sanders’ apology to the female staffers who were “mistreated” during his 2016 would probably sound more sincere, more woke, if he hadn’t just surrounded himself with many of the same (male) staffers as he had before. Although Thomas didn’t read the 552 comments on his NYT op-ed, I did. There were a lot of cries of ageism, but there were also a lot of people who agreed with him — commenters in their 70s who said that they didn’t think people in their own age group should be president; people in their middle years, sandwiched between growing children and shrinking parents, who said that their independent, vivacious parents still shouldn’t run the country. So let’s think about this like employers; our septuagenarian and near-septuagenarian candidates are the job-seekers. Any one of them might make a good president. They might be fit and healthy; they might have dodged the bullets of cognitive decline. But they are also making an argument that they will remain that way for the next four years, over the course of one of the most emotionally, physically, and intellectually demanding jobs on the planet. It’s true that a lot can change between, say, 54 and 58. But a lot more has the potential to change between the ages of 78 and 82. One in six people over the age of 80 suffer from dementia – a significant rise from the one in 14 over age 65. How cognitive decline manifests in individuals is unpredictable; older people like Joe Biden and Bernie Sanders might be dodging the worst of it, keeping neurologically and physically fit on a steady regime of jogging, wood-chopping, and political outrage. And we do need a variety of ages represented in our government, just as we need a diversity of races, ethnic groups, and gender. But we don’t need the potential turmoil of a president whose mental and physical facilities are at risk. But an even more important question is whether Sanders would answer them honestly. I’m not certain he would. Or can.